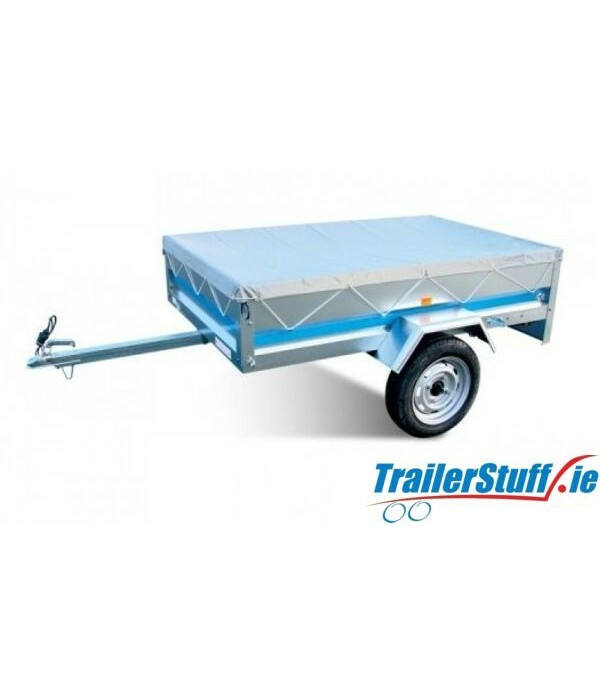 Trailer Covers - Trailer Parts and Accessories | Ireland | Trailerstuff is Irelands largest online supplier of trailer parts and accessories. 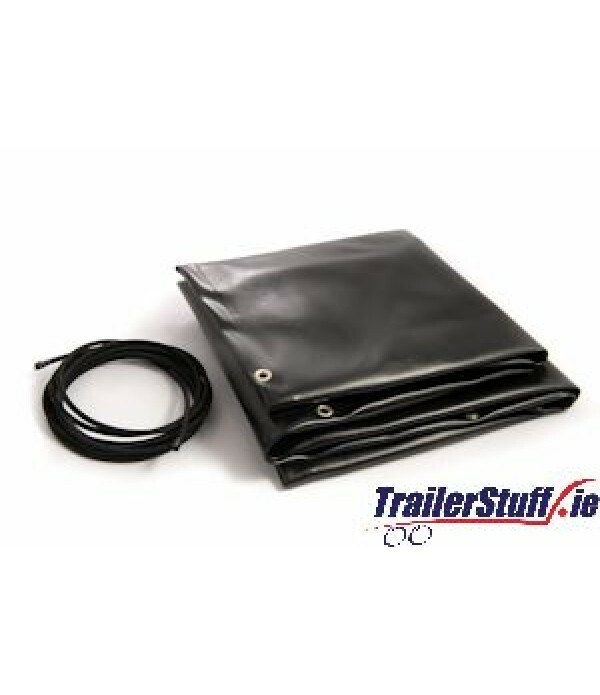 Retrofit cover in black PVC to fit Daxara DX107. 110cmx90cm. 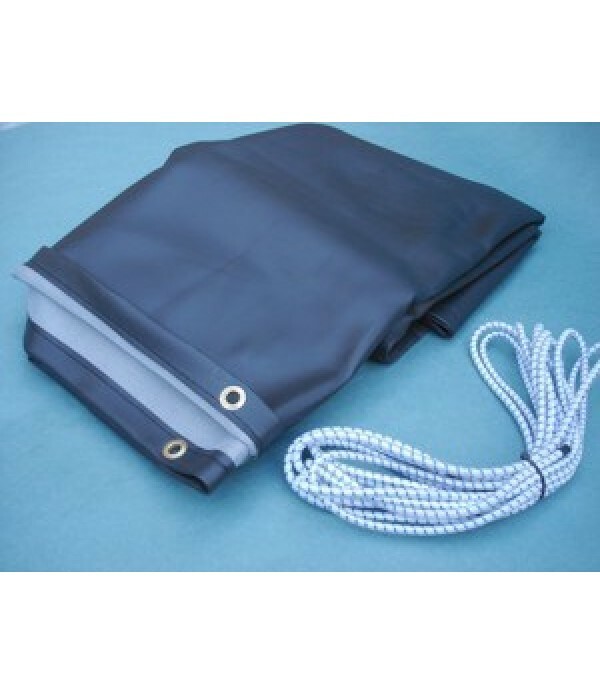 c/w eylets and elastic cord..
Retrofit cover in black PVC to fit Daxara 147D (150x105cm.) c/w eylets and elastic cord..
Rope hook/cleat, butterfly style, screw on approx. 80mm. 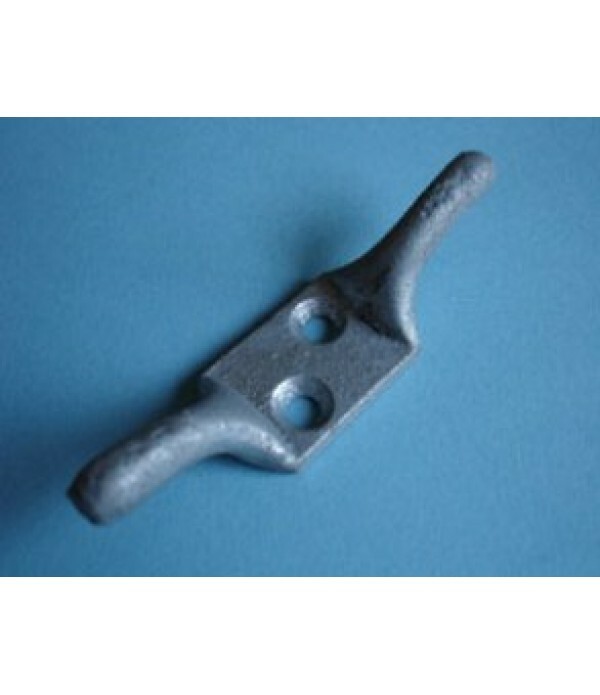 long, galvanized casting..
* Manufactured from 130g/m² polyethylene with heavy, 30micron laminate. 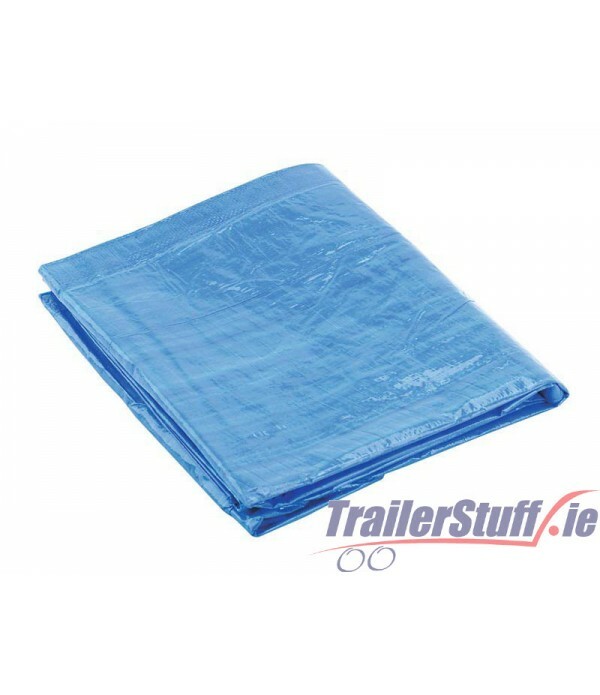 * Tear-proof, water-proof and treated with a UV filter to prolong life and durability. 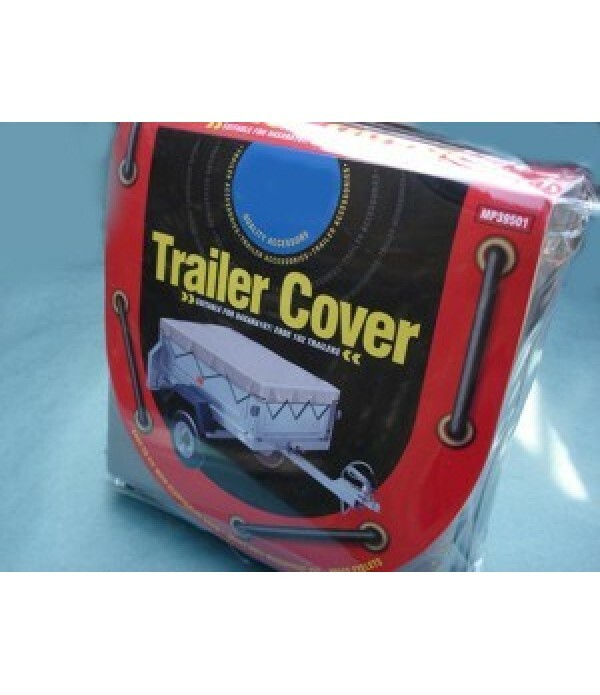 * Mould and mildew proofed. 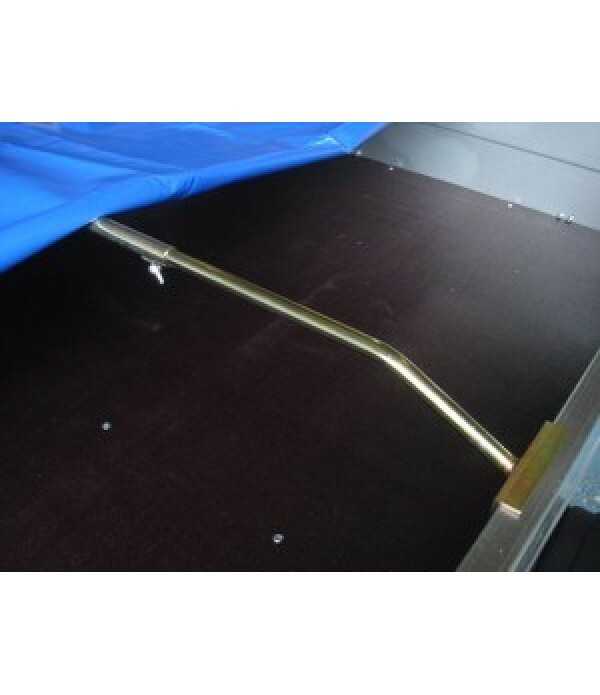 * Constructed with roped edges and metal grommets in all corners and every metre. .. 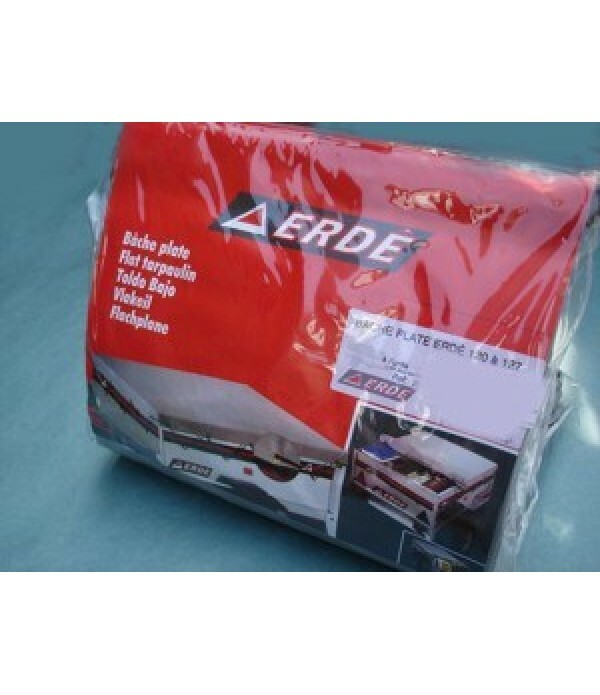 Description Strong waterproof PVC grey material Fully hemmed and stitched with shaped corners Supplied with elasticated cord Standard 3" drop 6' x 4' (183 x 122cm)..